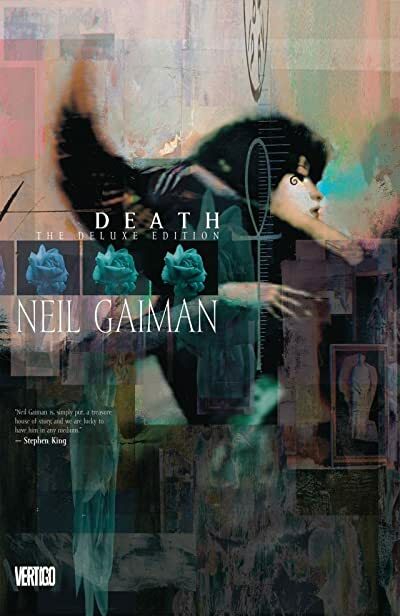 Has anyone read this wonderful Sandman spinoff graphic novel? I re-read it the other night and was able to find the storyform really quickly. It was one of those times when you base the storyform on stuff that you're considering (in this case MC & OS Problem/Solution), and then the implied story points that you weren't considering just blow you away with how perfect they are. Anyway, let me know if you're interested to chat about it. I'll hold off on posting any of the form now (other than the above hint that MC Resolve is Changed, but I think that's pretty obvious). Oh wow - I didn't know about this. I was actually half-way through reading the original series a year or two back for a different project and was struck at the possibility of a strong storyform in there. I will add this to the nightstand (i.e. Kindle)! But it looks like I'm only reading the first half of it? Looks like it's a combo of two miniseries - please advise! Coolest character in the Sandman Universe. She's just here to help. And she dresses like a biker. I mean, except for the Corinthian of course. Hey cool, I have that one as well! 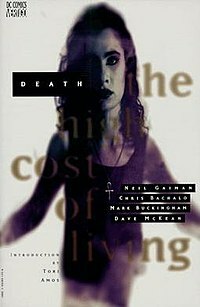 If you look in the Table of Contents the story I'm talking about is labelled "The High Cost of Living" and has three chapters, it goes from page 65 to 146 assuming our pages numbers are the same. The short story right before it, A Winter's Tale (p. 59-64) is a good primer about why Death becomes mortal for one day every 100 years. All the stories in that anthology are connected by the Death character and some other recurring characters, but I don't think there's any overarching story between them.